The Karnataka Government on Monday announced a reduction in petrol and diesel price by Rs. 2 each. 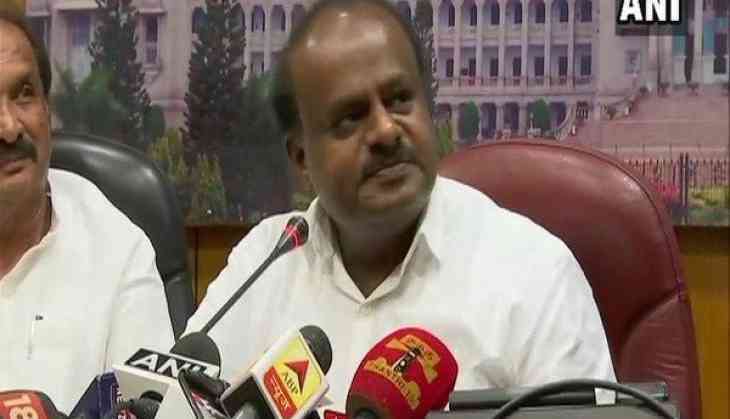 Karnataka Chief Minister HD Kumaraswamy said, "Today, we are taking a decision that we are going to reduce Rs. 2 on both petrol and diesel". Earlier on September 10, Karnataka's neighbouring state, Andhra Pradesh also slashed the prices of petrol and diesel by Rs. 2. Following Andhra Pradesh's footsteps, West Bengal Chief Minister Mamata Banerjee also decided to cut down cess on petrol and diesel prices in the state on September 11, thereby reducing the fuel prices by Re 1 per litre. On September 9, Rajasthan Government issued orders for reduction of Value Added Tax (VAT) on petrol and diesel by four percent, thus reducing the prices of both petroleum products by Rs. 2.5. Fuel prices have been skyrocketing since the past few days and it once again witnessed a hike on Monday morning. In New Delhi, the price of petrol rose to Rs. 82.06 per litre (increased by Rs 0.15 per litre), while the price of diesel has been increased by Rs 0.6 per litre to Rs 73.78 per litre.